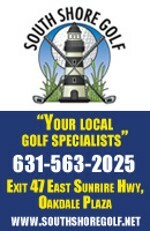 Rare is the golf outing scheduled during the winter months on a Long Island course. Sunken Meadow, however, is preparing to open up the playbook a bit, fittingly on Super Bowl Sunday. The state-park muni plans to mark the midpoint of winter with a "Halfway There" event (yes, outside) on Sunday, February 3. For $50, golfers can layer up and head to Kings Park for nine holes along with food, drinks and prizes. Cart and range balls are included. Tee time is 12 noon. Sunken Meadow staff will monitor the forecast and cancel in advance if necessary. 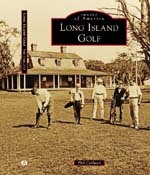 Register in person at the Sunken Meadow pro shop or e-mail themeadows@pga.com to reserve a spot.